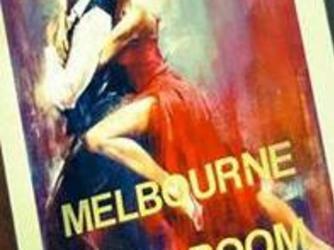 Melbourne Ballroom is a place where all levels of dancers can come and enjoy learning to dance in a great social and fun setting. Group and private lessons are offered. Friday Night Dance Parties, are open to the public. The owner, Lance Sexton, opened Melbourne Ballroom 16-years ago and its grown from a 1,300 square feet space to more than a 3,000 square foot facility with two ballrooms for private lessons, group classes, dance parties and showcase events. Large 3000 square foot room for $150.00 per hour. This room will comfortably hold up to 230 people. The small 750 square foot room can be rented for $75 per hour and hold 20-40 people comfortably. If you need both rooms, you can have them for $200.00 per hour. Both of these rooms have adjustable lighting so you can create the mood you want. Also, their beautiful lobby area can be used for the wedding ceremony for an extra charge of $250.00.